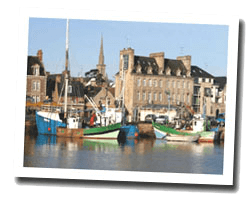 Famous harbour for codfish, Paimpol is the place of a festival of singing sailors. It is pleasant to wander along the docks and walk in the narrow streets with old houses. At the seaside you can find beaches with sand or pebbles along a rocky coastline. In the Kerity hamlet, the Beauport Abbey is located in a stunning site by the sea. 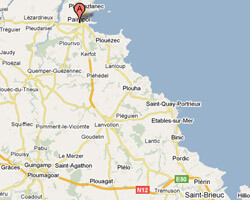 In Paimpol enjoy a seaview holiday rental. 4 rooms house 72sq. m. Sea view in all rooms. View of the bay, st Riom isle and oyster farms. Garden 500sq. m, Terrace with outdoor furniture, deck chairs and barbecue. 2 Bedroom(s), 2 double bed(s). short stays possibility. Final cleaning : 50 €. Cottage 4 roomss 80m2. terrace with barbecue. Pets allowed. Cottage 5 rooms 100m2. terrace with barbecue.